1960 Lancia Flaminia - Someone, most likely in the late 1960s, thought it would be a clever idea to paint this Flaminia pink. Pink Flaminia / Pink Flamingo... Get it? Then the drugs wore off. He realized he was driving a pink car and parked it in a barn, where it remained until recently. 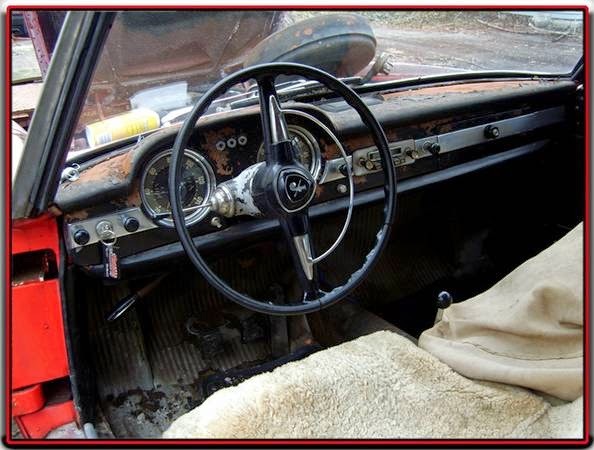 That's going to be the story of this car, as the seller doesn't give us one. Not a lot of info is given about this car. It runs. It looks like it might have left the factory with a proper Italian red paint job. These are quite handsome cars, when not painted pink. The body was designed by Pininfarina and the car was built in the Pininfarina factory. The engine is a 2.5 liter V6. 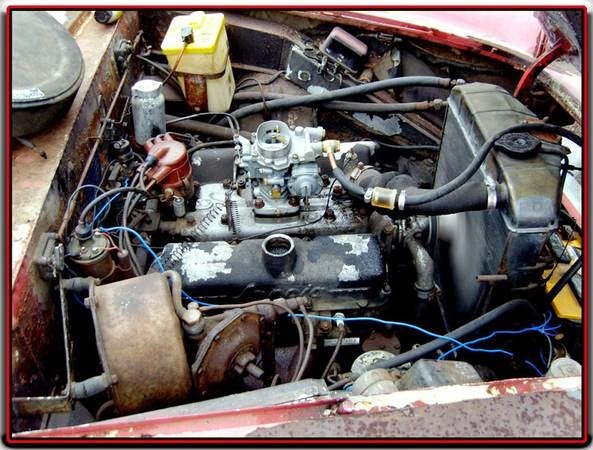 It's based on the earlier Aurelia engine, which was the world's first V6. Lancia built some incredible, ground breaking cars. Until recently, all but a few were ignored by collectors. That has changed and restored Flaminia coupes now sell for over $30K in nice condition. This car looks to be rough, but restorable. You'll probably wind up spending $30K to make it perfect, buy if you're a DIY person, it will be worth the money and effort when you're done. 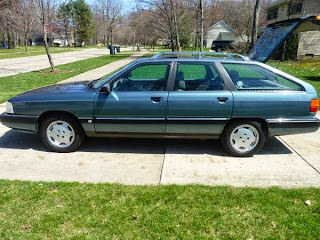 Located in Lake Station, IN, click here to see the Craigslist ad. 1989 Audi 100 Avant - Audi introduced the C3 100 (called the 5000 in North America until 1989) in 1982. Voted European Car of the Year, it was a groundbreaking car. It's not often that a station wagon version of a car looks sportier than the sedan, but that's the case with the 100. With it's sloped, almost fastback roof, it looked like nothing else on the road. It still looks good today. This 100 looks to be in immaculate condition. The paint is original and it has no rust. The seller recently did the timing belt. The driver's side window is not working at the moment (a common problem on older Audis), but the seller has the part on order. This is a FWD Audi. That's going turn off a few potential buyers. So is the price. 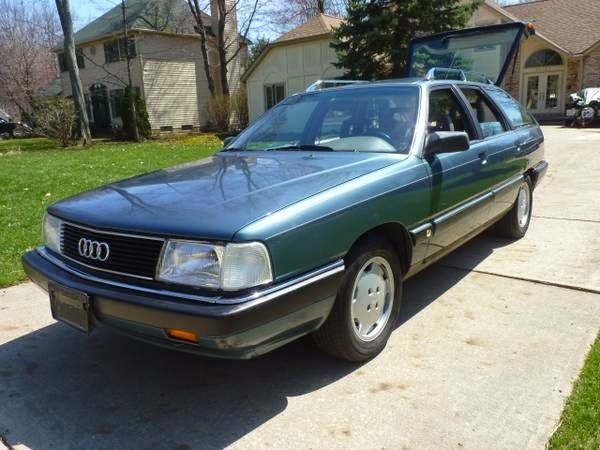 $4500.00 is a lot of money for a 2WD Audi. But, if you don't need or care about quattro, this looks to be one of the nicest 100 Avants around. It might be worth every penny. Located in Cleveland, OH, click here to see the Craigslist ad. 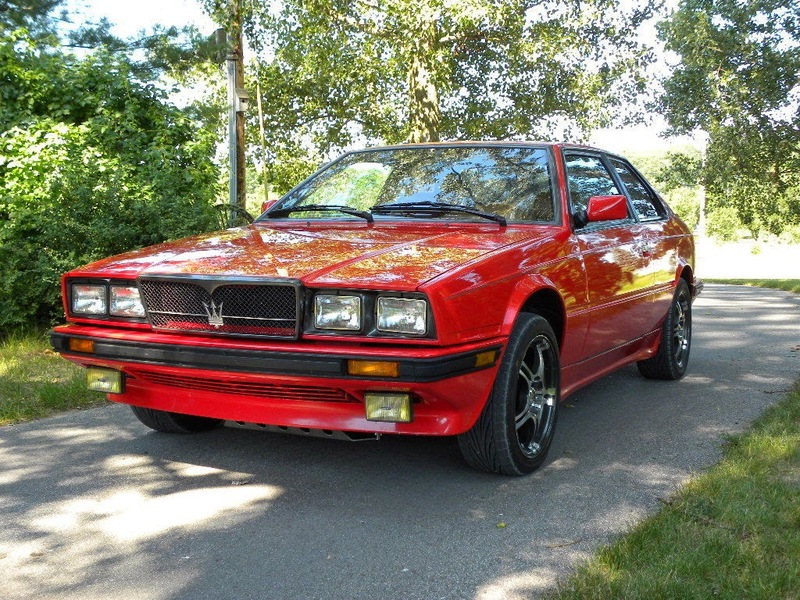 If you are lucky enough to be driving a new Maserati, you have the Biturbo to thank for that. As problematic as they were - and even I won't deny that they were problematic - they sold enough of them to keep the company afloat long enough for Fiat to buy it. Say what you want about its reliability, but the Biturbo could perform. 60 MPH came in just 6.5 seconds. Pretty impressive for a mid-1980s car. The interior was as luxurious as you'd find in any car - at any price - built in the 1980s. So what about the problems? Pre-1986 cars were the worst. Spontaneous combustion was common. The carburetor leaked gas, with predictable results. The insulation around the catalytic converter was flammable, with predictable results. The fusebox melted, with predictable results. 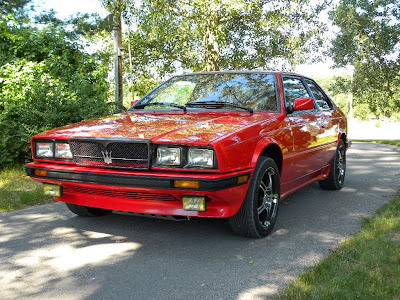 Eventually, Maserati switched to fuel injection, issued a recall for the catalytic converter insulation and redesigned the fusebox. Later cars, which also had an intercooler for the turbos, are actually fairly reliable. 1987 is generally considered to be the best year. All Biturbos require consistent / constant maintenance, some of which requires more time and effort than it does on other cars. 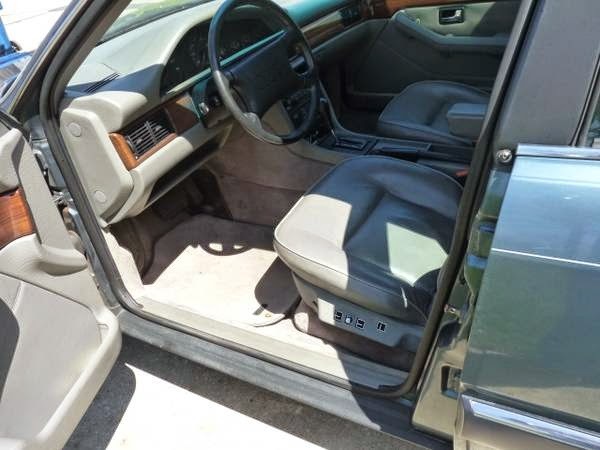 This car is a 1987 Biturbo SI. It is, in my opinion, the most desirable coupe to wear the Biturbo name. It has been well maintained. It recently had a valve job and tht timing belt done. Biturbos rust, but this one looks to be clean. I'm not crazy about the aftermarket wheels, but that's just a matter of personal taste, I guess. Located in Suttons Bay, MI, click here to see the eBay listing. Did you run off and buy the BiTurbo? Summertime disappearance act is never loved but getting a little more predictable. Hope you're enjoying life away from the blog. 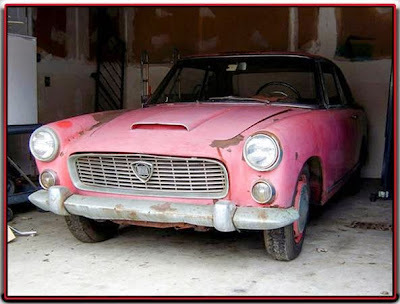 Can you imagine that Lancia when it's been restored? That is going to be one stunning automobile. 've had experience with many Maserati models, but this was my first experience, and it left mixed impressions. But, in the end I did end up with more Maseratis, so all things considered it was a good experience. That said, the '84 Biturbo was a very difficult car to love. 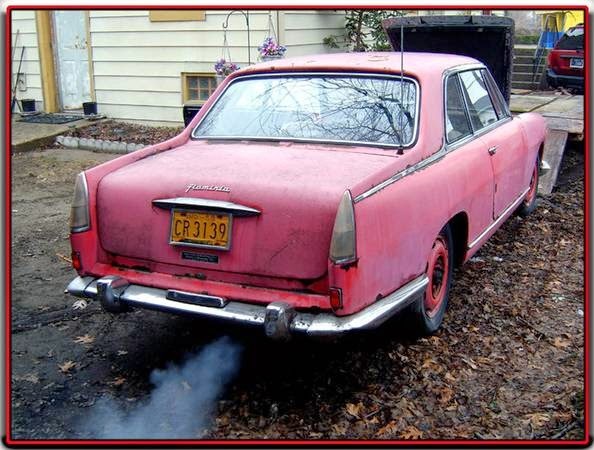 I strongly suspect the pink Lancia is actually a red one that's faded very badly. I've got a mate who has a late 60s AC 124 Fiat that's now the same shade as the car you show. He's had it long enough to remember when the red was redder than pink and knows it changed hue during his ownership. Alastair - I believe you are correct!